Dhaka University Admission Circular 2017. Dhaka University Circular for academic session 2017-18 will publish by the Dhaka University (DU). University of Dhaka admission Test notice 2017-18 will publish after the ending HSC Exam and HSC Result 2017. 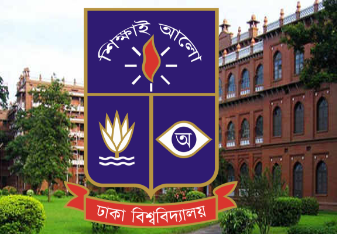 Today will we will provide you all kinds of information about Dhaka University Admission Circular. Here are we discuss in details, Dhaka University Admission Date 2017-18, Dhaka University Admission Result 2017-2018, DU Admission System online and others important news included this article. So every Applicant Read this post and follow all kind of process. It will help you. Click login/ Apply Botton and give Your HSC Exam Roll, Passing Year & Exam Board and Also give Your SSC Roll and Click Submit Botton. After Click on the Submit Botton, then You Will Find Your Details and Eligible Application Unit. Now Click Confirm Botton. Now give Your Scanned Photo, Personal Mobile Number, and Others Information. and Click Confirm. To Confirm Your Application You Have to Send an SMS to 16321 Number. After Sending SMS, Applicant Will Get a confirm SMS Mention 7 Digit Confirm Code. Then, give The Code and Click Confirm. If you have any problem please comment on the comment box include your problem. We will try to response your question answer as soon as possible. For more educational information updated daily please follow our Bangladesh education website www.bdresultonline.com. And get educational more update news daily. Thanks for reading this Article. Stay with us.